Melt white chocolate wafers in a microwave safe bowl at 50% power for 30 seconds. Stir and continue microwaving until melted. Dip the mini Oreo halfway into the melted chocolate and lay on a sheet of parchment or wax paper. 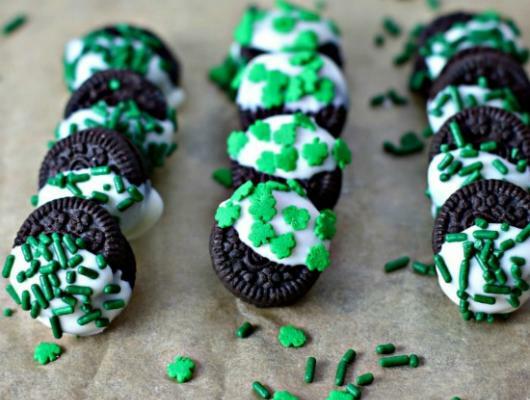 Sprinkle the top of Oreos with green sprinkles while chocolate is still warm. Allow to set up for 20 minutes and enjoy! 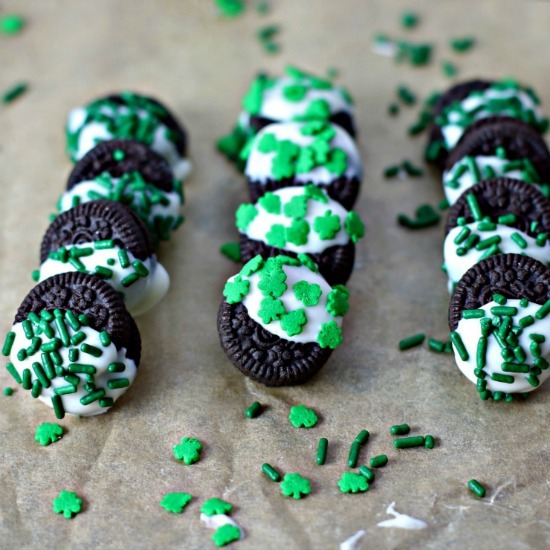 These easy mini Chocolate Dipped Oreos are the perfect after school snack or dessert. It takes your favorite chocolate cookie and makes it better by adding melted white chocolate and colorful green sprinkles. Kids love making them!